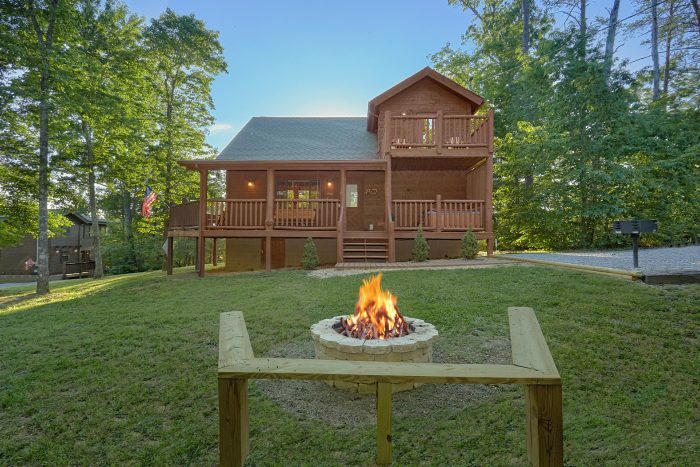 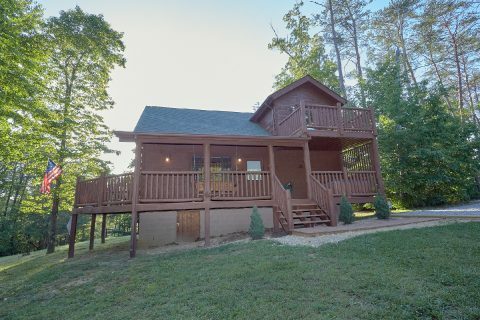 Located near the beautiful community of Wears Valley in the Great Smoky Mountains, you'll find "4 Paws," a lovely 3 bedroom cabin that offers room for up to 6 guests! 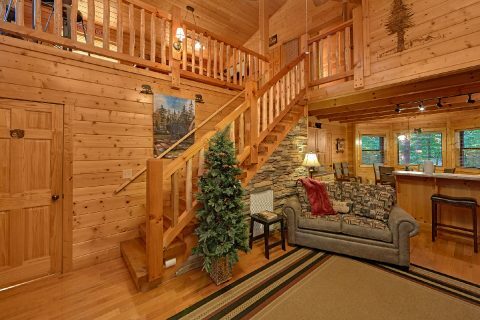 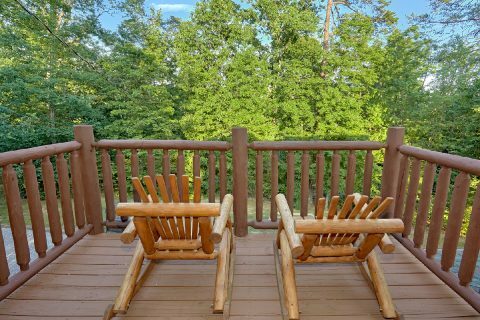 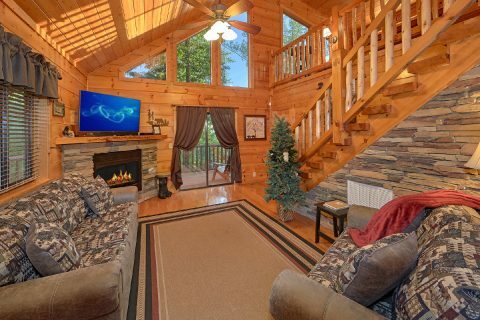 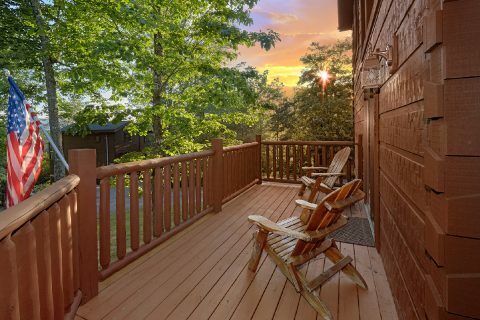 Not only does this quality cabin rental keep guests close to major destinations like Downtown Pigeon Forge and the Great Smoky Mountains National Park, but it also comes complete with all the comforts of home and more! 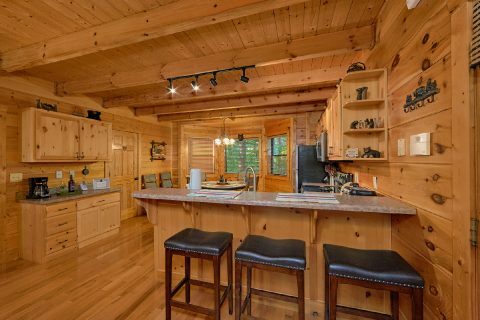 Step inside the main level, and you'll find an open floor plan living room, kitchen, and dining area. 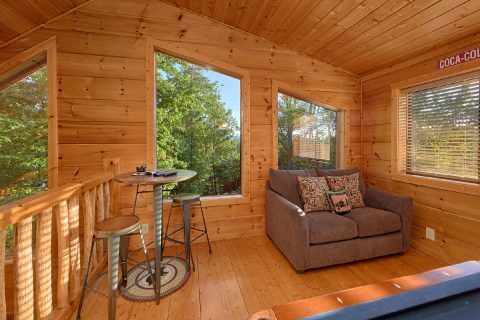 This comfortable area, complete with a gas fireplace and a television, is the perfect space for spending quality time with friends and family. 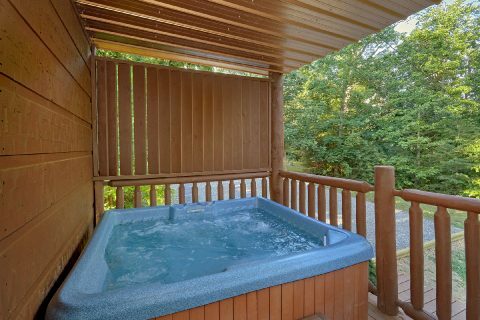 To enjoy some time in the great outdoors, simply step outside onto your cabin's wrap-around deck to sit in a porch rocker or take a soothing dip in your rental's hot tub. 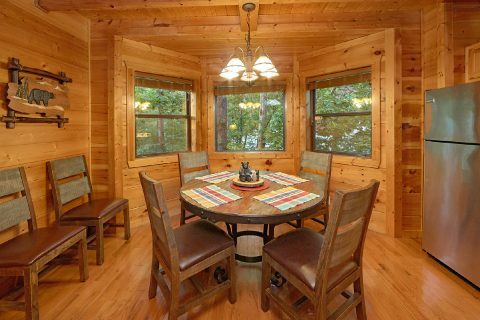 Additionally, this cabin provides guests with a yard area, which is a great place for the kids to work off some energy during their stay. 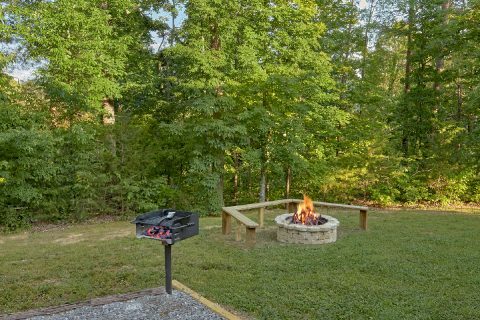 There's also an outdoor fire pit if you'd like to spend an evening roasting s'mores and telling campfire tales underneath a starry mountain sky. 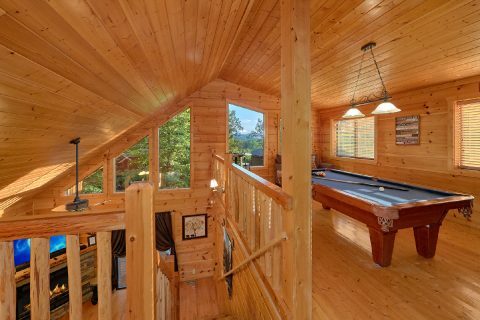 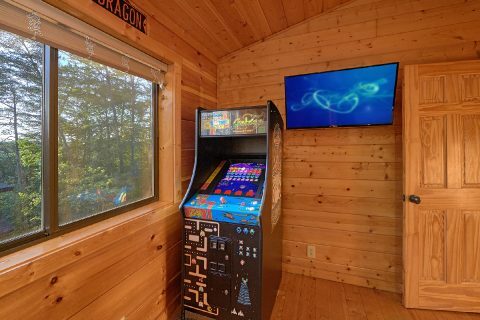 While there are tons of great attractions nearby like Dollywood, mountain coasters, and gem mining, you can also find plenty of great in-cabin entertainment in your cabin's upstairs game room. 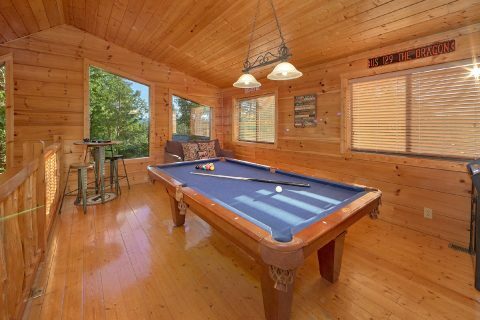 This room comes complete with a pool table, arcade game, television, and a pub table with board games to provide you with hours of entertainment. 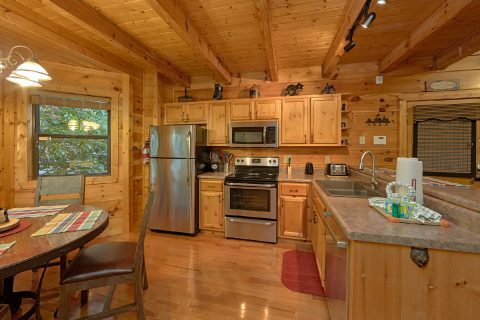 Additionally, this log cabin in the mountains has WiFi Internet access, a charcoal grill, and a washer/dryer. 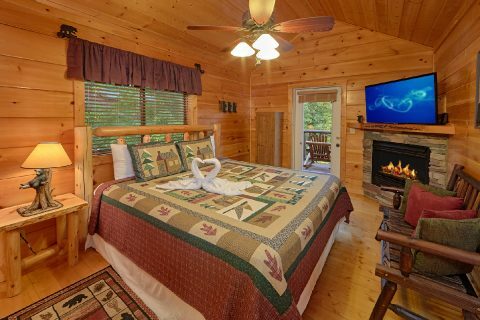 After a great day spent exploring Pigeon Forge, Gatlinburg, or the national park, you'll be glad to get a quality night's rest in your Wears Valley cabin rental. 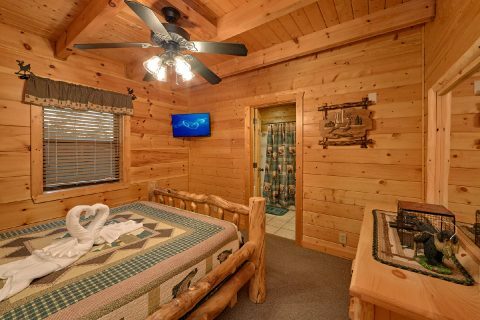 On the main level, there are two queen-size bedrooms that each feature cable televisions with DVD players. 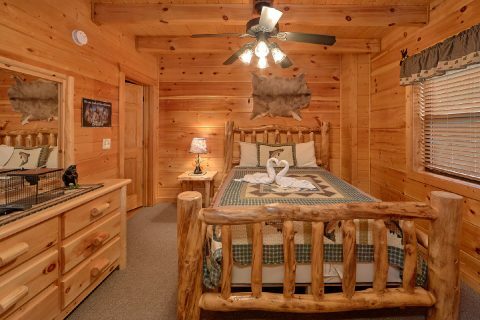 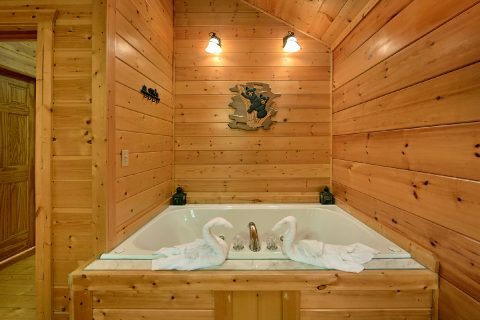 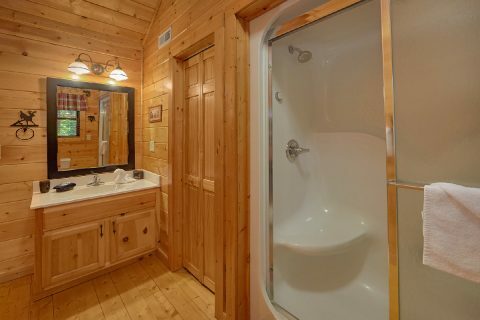 Upstairs, you'll find a king-size master suite with a log frame bed, fireplace, and a romantic jacuzzi tub. 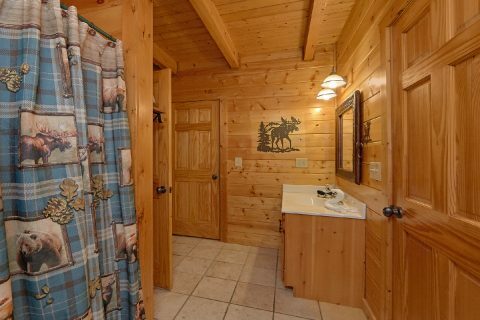 This room also boasts a private bathroom with a steam shower. 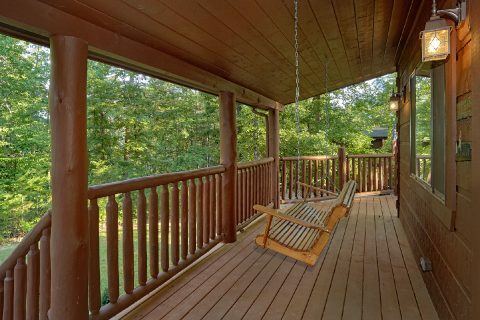 Lastly, the master suite offers access to a private deck with a nice view of the forest. 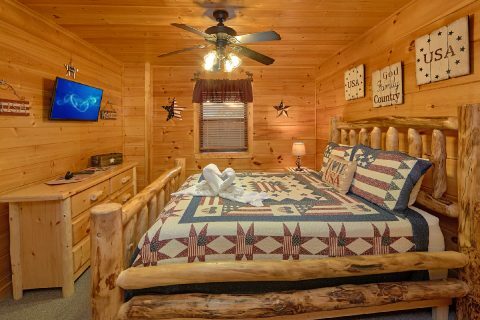 Book your cabin with Cabins USA to save 15% on your nightly rate!